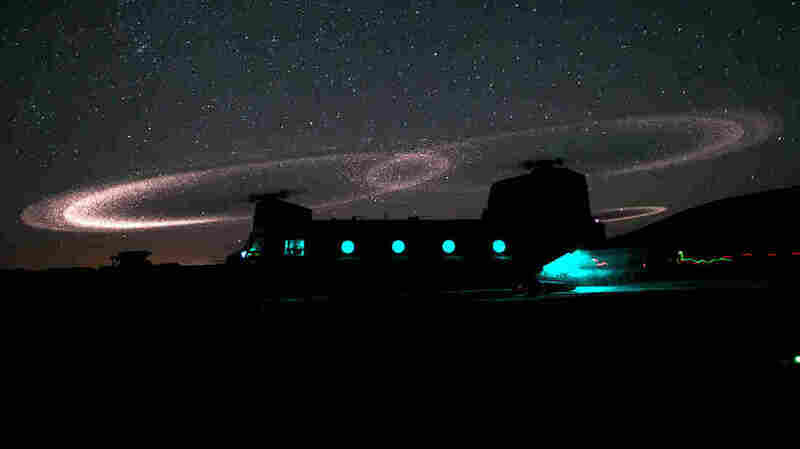 Mysterious Dancing Lights In Afghanistan : Krulwich Wonders... On certain nights, as helicopters settle on the sandy ground in Afghanistan, the air mysteriously bursts into loops of light that trace the path of the helicopter blades; no one's sure what causes this; no one knows what to call these dazzling light displays — but a war photographer has given them a name — and thereby hangs a tale. This isn't a painting. It's not from a movie. It's not a strange astronomical event. 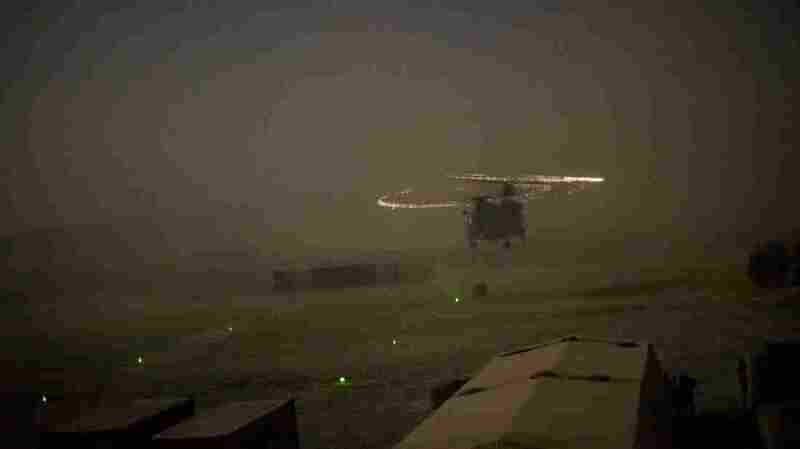 This is real — what you can see when certain helicopters in Afghanistan touch down on sandy ground, raising dust, causing mysterious arcs of light to loop and dance through the air. This doesn't always happen. 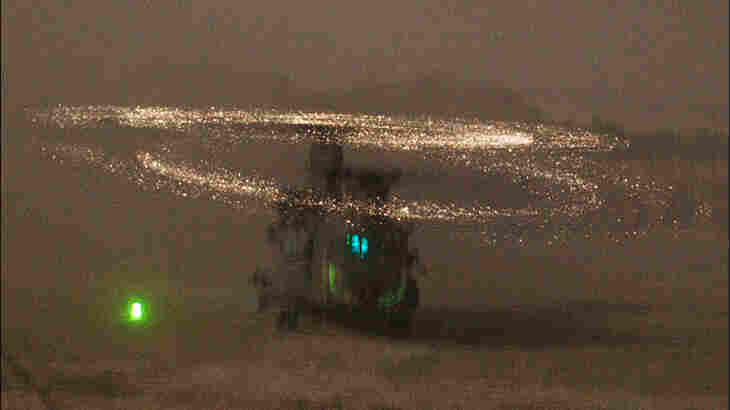 "The halos usually disappear as the rotors change pitch," wrote war photographer Michael Yon. "On some nights, on this very same landing zone, no halos form." How come? Almost certainly the helicopter's blades have a role. The light seems to follow their path. The dust clearly matters. Michael heard from a pilot, who thought the loops are "static electricity created by friction." The helicopter's blades, the pilot said, are covered with a protective sheath of titanium and nickel. The air is filled with floating dust. Maybe when these different minerals slam into each other, the electrostatic charges become excessive and they spark. Maybe, Michael thought, but whatever causes this, it ought to have a name. 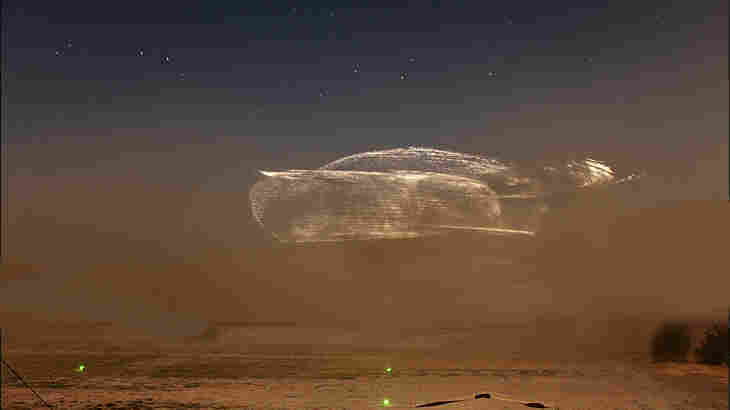 And because he could, because most of these are his pictures, he decided to dub these lights "The Kopp-Etchells Effect." That's the name he put on his blog post in 2009 when he first posted these shots. Curiously, (and to me, very happily), the name is beginning to catch on. There's now a Wikipedia reference to it. Some science bloggers call it that, so who, I wondered, are Kopp and Etchells? Are they physicists? They aren't. Or weren't. They are, both of them, soldiers. 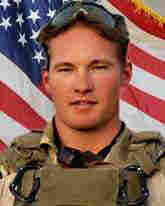 Corporal Benjamin Kopp was shot in 2009 during a battle in Afghanistan and died of his wounds just over a week later. He was 21. He'd had already served for three tours and was buried at Arlington National Cemetery. Because he had put himself down as an organ donor, his heart was quickly transplanted into a 57-year-old Illinois woman named Judy Meikle, who told The Washington Post, "How can you have a better heart? I have the heart of a 21-year-old Army Ranger war hero beating in me." Other organs went to other recipients. Joseph Etchells was also a corporal, but in a different army. 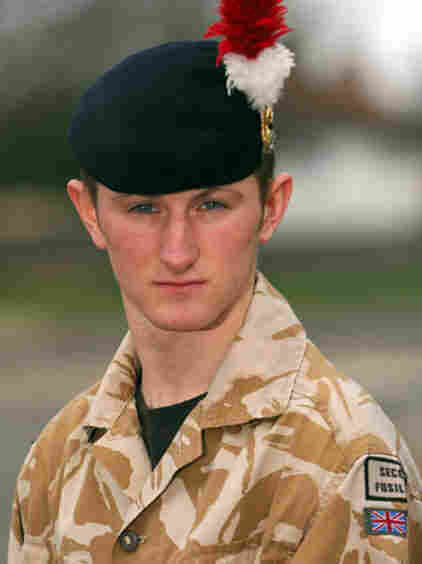 He was a fusilier in a British regiment, also assigned to Helmand Province. He was 22 and died the same week as Benjamin Kopp. This was also his third tour of duty, and he was killed by a roadside bomb. ... which may be one reason to be smiling all these four years later. Because, thanks to Michael Yon's labeling all his pictures and postings with their names, Kopp and Etchells may now get a second round as dancing bits of air. This connection is, I know, entirely arbitrary. Neither man was a pilot. They certainly weren't scientists. For all we know, they may never have seen the loops of light that carry their names. This is, simply, a gesture, a salute, from a civilian photographer who wanted to honor the memories of two men he never knew, who died in Afghanistan, as he wrote, "Ben on the 18th, Joe on the 19th of July in the year 2009," whose names he found, "listed consecutively in a roster," whose fates, he decided, were "already linked up," so why not? Why not attach them to a lighting effect that was getting public attention? At the very least, it keeps their names on our lips, even for totally bogus reasons. "Knowing combat soldiers," he writes, "it's easy to imagine them laughing away at the idea." Do I care that this salute is spun out of air? No, I don't. The air doesn't care. Nature doesn't need names. We, sometimes, do. And for a young guy who wanted his ashes launched over his old neighborhood park and for a guy whose heart still beats on in the chest of a Illinois woman, I think the salute more than fits. Bloggers and TV reporters may have adopted the "Kopp-Etchell," but will the scientists follow? We will have to see. 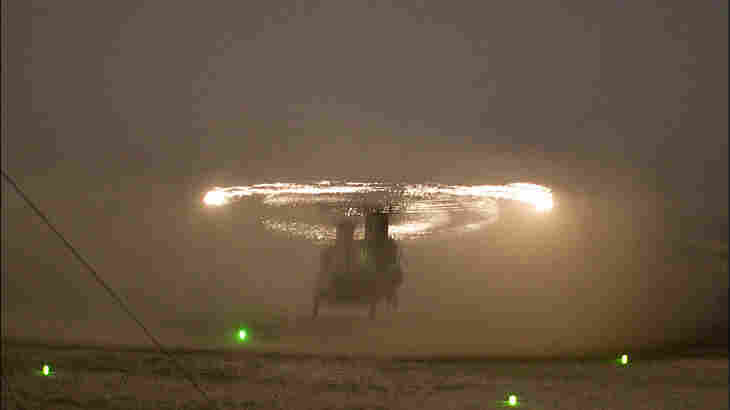 Helicopter pilots who know this effect used to call it "St. Elmo's Fire." Physicists sometimes call it the "piezoelectric effect" which describes how crystals (think Afghani sand), if hit by a hard blade, can produces high concentrations of electrostatic fields that "discharge," or spark. 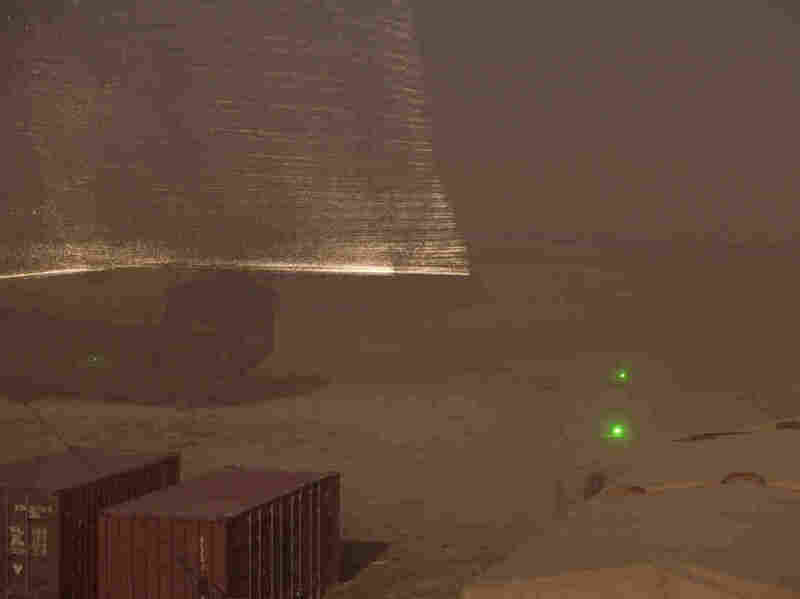 Just recently, physics blogger Kyle Hill weighed in with his own theory, that it's not sand, but itty bits of helicopter blade dust that are igniting, kind of like a car "dragging a sparkling muffler along the road." Whatever causes those loops of light, some science journal will have to use the name, and I'm not sure that's happened yet. Maybe because we haven't fully explained what's going on. But if and when we do, I'd hope the scientists who figure it out stand down and let the soldiers have the honor. Michael Yon says some structures and identifiable bits of landscape were retouched to disguise their geographic location, for security purposes. The loops of light, however, are quite real and appear as he shot them.